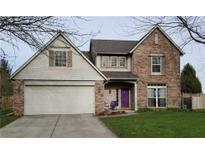 Below you can view all the homes for sale in the Austin Meadows subdivision located in Brownsburg Indiana. 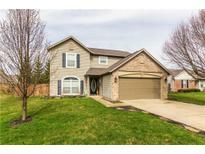 Listings in Austin Meadows are updated daily from data we receive from the Indianapolis multiple listing service. To learn more about any of these homes or to receive custom notifications when a new property is listed for sale in Austin Meadows, give us a call at 317-987-2530. A pass through to the kitchen from the dining area make entertaining easy. MLS#21632973. Keller Williams Indy Metro W.
Addl Updates on Attached Feature Sheet. MLS#21632121. eXp Realty, LLC. 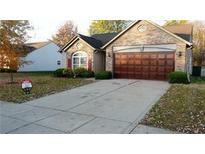 !newer A/C, Furnace, Paint, Lightfixtures,Curtains, Roof.. Garage Is Finished... MLS#21632641. F.C. Tucker Company. All of the work has been done here just move in . MLS#21631444. Keller Williams Indy Metro W.
The garage comes with a built in work bench for extra storage! MLS#21631391. RE/MAX Advanced Realty. Great 3 seasons room and large deck overlooking the pond! MLS#21624037. F.C. Tucker Company.